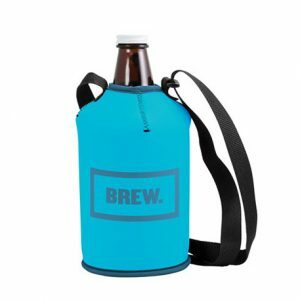 Custom beer swag for your brand. Don't leave your clients thirsty! 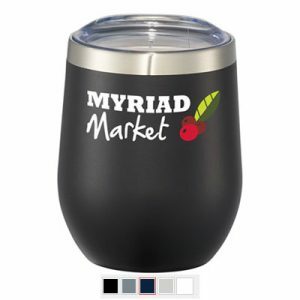 Durable, double-wall 18/18 stainless steel vacuum construction with copper insulation, allows your beverage to stay cold for 24 hours and hot for at least 6 hours. The construction also prevents condensation on the outside of the tumbler. From $14.02 - $17.65 each - Min 48 Price includes 1 colour imprint. Set-up, delivery, and taxes additional. 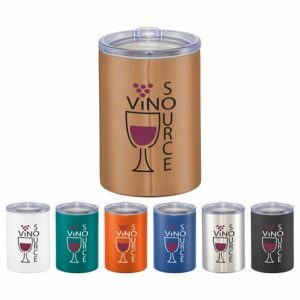 Durable, double-wall 18/18 stainless steel vacuum construction with copper insulation, allows your beverage to stay cold for 24 hours and hot for at least 6 hours. The construction also prevents condensation on the outside of the tumbler. Perfect accessory for wine. Easy sipping, push-on lid. Wide opening for comfortable filling and pouring. Durable powder spray color. 12oz. 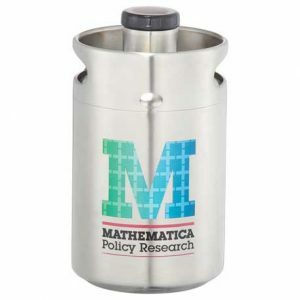 Price includes 1 colour imprint. Set-up, delivery, and taxes additional. A staple for tournaments and stag gifts. 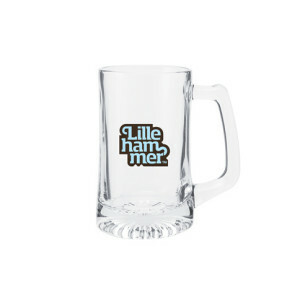 15oz glass beer stein. Minimum 72. Taxes, setups and delivery additional. 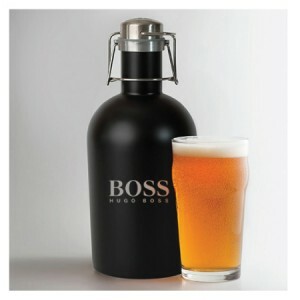 Large glass growler perfect for enjoying craft beer the eco-friendly way. Easy to clean, reuse and refill. White metal lids available for an additional charge. Large glass growler perfect for enjoying craft beer the eco-friendly way. Easy to clean, reuse and refill. White metal lids available for an additional charge. Form the perfect sized patties every time then crack open a cold brew with this two piece gift set. 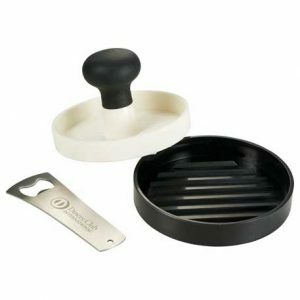 Includes meat press, bottle opener, in a swanky gift box. Add your logo to the opener. Min 72 units. Shipping, taxes, and delivery additional. 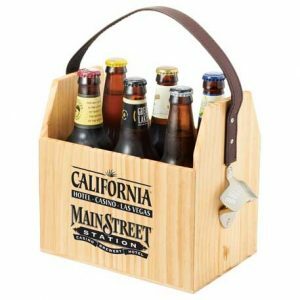 Take your six pack of beer or soda with you with this brandable wooden six pack carrier. 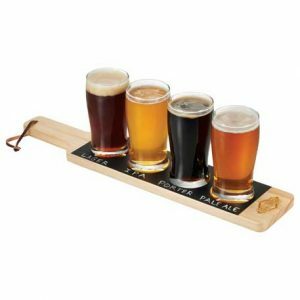 Features include removable bottle dividers and bottle opener. Double-wall 18/8 grade stainless steel construction with vacuum insulation. 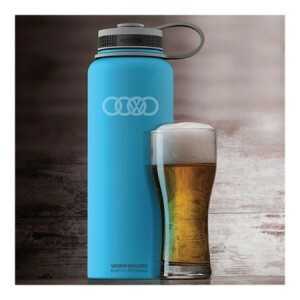 Keeps beer at ice cold temperatures for over 24 hours! Easy pouring spout design for better serving in the crowds. Safe, screw-on lid. Comfortable carrying handles. Grabbing booze by the horns. 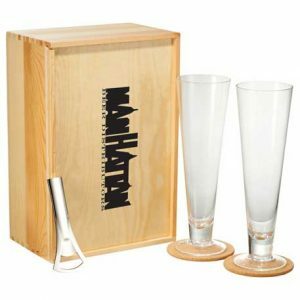 This six piece Bullware Pilsner Set includes two glasses, two cork coasters, a metal bottle opener, and a wood storage box. High-Quality Neoprene (Wetsuit Material) with adjustable strap and hook & loop closure. 8-3/4″ H x 5-1/4″ Diameter. Min 48 units. Shipping, taxes, and delivery additional. 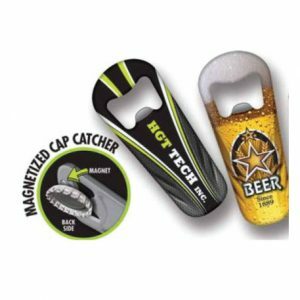 The handy magnet on this bottle opener ensures that your bottle cap does not fall on the floor once opened. Full colour, full bleed graphics give you maximum print and design capabilities. Made in Canada! 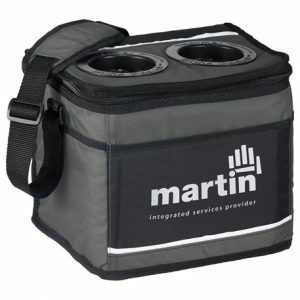 Zippered main compartment holds up to 12 cans plus ice.Thermal Drink Pocket on top of cooler for open beverage storage. Front pocket. Adjustable shoulder strap with shoulder pad. Ultra Safe leak-proof, easy clean PEVA lining. Collapses for easy storage.